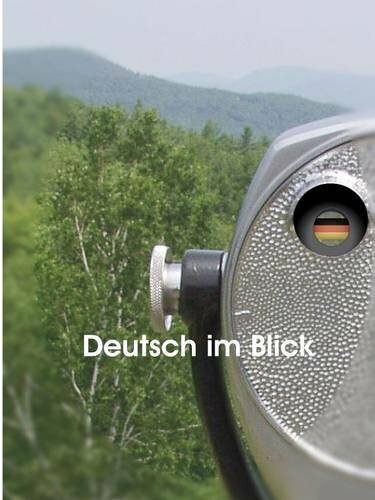 Deutsch im Blick, used increasingly by students, teachers, and institutions throughout the world, includes 307 videos (American students in Germany, native German interviews, vocabulary and culture presentation videos) recorded vocabulary lists, phonetic lessons, online grammar lessons (600 pages) with self-correcting exercises and audio dialogues, online grammar tools, and diagnostic grammar tests. Level I is aimed at junior high and high school students. Level II emphasises grammar, and assumes a greater knowledge of English grammar. Level III, which requires even more knowledge of English, is for college students, sophomores or juniors. This textbook guides a learner who has no previous German experience to gain the ability to accurately understand formal written German prose. You will also need access to a comprehensive German-English dictionary to succeed with this material. This Reader affords the student a certain amount of experience in reading scientific German. The selections consist of fundamental definitions, descriptions, processes and problems of Arithmetic, Algebra, Geometry, Physics and Chemistry. The purpose of this introductory book is to initiate the learner into the language of everyday life as well as into the literary language, thereby insuring a realistic vocabulary. The work is an outgrowth of actual classroom experience.